Done correctly, design is a transparent method to enhance communication. 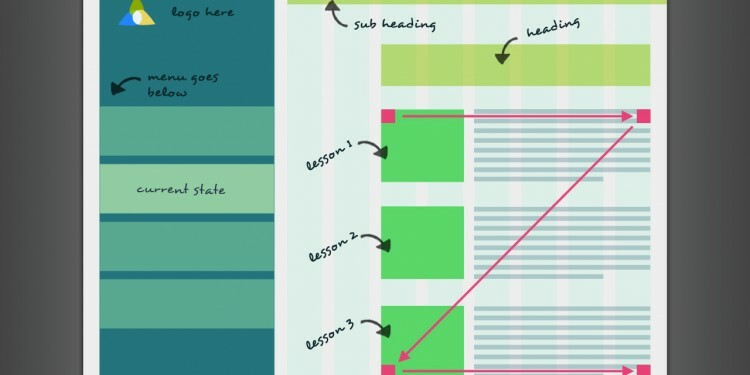 Following are a few tips for creating a well-designed interface for your e-learning courses. 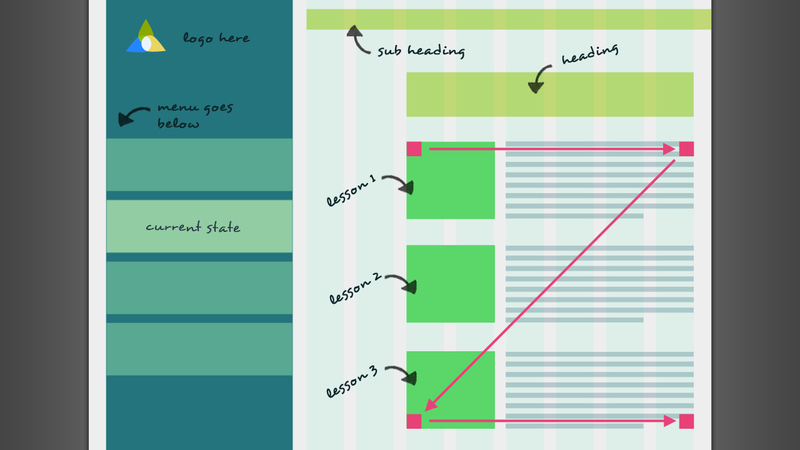 Use grid systems to align content in a way that is neat and easy to navigate. Content should be left-aligned for maximum readability. Know who your audience is and design accordingly i.e. age appropriate graphics and font size, appropriate icons for your industry, etc) . Keep cursive fonts to a minimum or leave them out completely, as they can be hard to read. Stick to a color palette of no more than 5 colors. If you want the user to do something such as click on a link or go to the next page, give them visual clues to do so. Replace text with buttons and icons. Use icons that are familiar and easily recognizable. Keep clutter away from the menu. Fight the temptation to turn the menu into a game or a treasure hunt. The goal is to be able to read the menu with clarity and use it to navigate to different areas of content quickly and easily. If you have a deep menu system, consider expandable menus that fly-out to minimize clutter. Pre-plan if your training module will be viewed on a mobile device and if so, design accordingly. Design your interface to work across several devices by using 3 different width breakpoints: one for desktops, another for tablets, and another for mobile devices. Also, use percentages and ems instead of pixels to define type, width and images. Use your brand guidelines/brand standards as a basis for your design so that your employees feel at home and know that they haven’t stumbled upon another company’s site. Your company logo should be somewhere prominent on the welcome screen well as being visible on the interface for continuity. By using these simple tips, you will create more effective e-learning interfaces that will help your learners better navigate through your course and retain content. The simplicity of a well-designed interface is transparent and seldom noticed, but subconsciously it is appreciated.